Thank you for your interest in sprayed on polyurethane foam insulation. 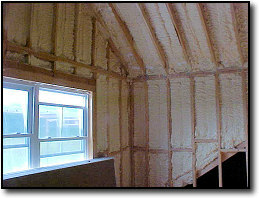 Alpine Foam uses only the cleanest, safest, most effective and efficient polyurethane foam insulation on the market today. 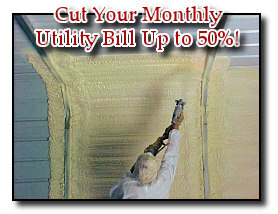 Has an efficiency rating in the 90’s when all other insulation is in the 30’s and 40s. For more information about our product, click here!